The website of MAMER VERÄINER is a part of the Orga50-Network. This means that you can easily browse all the websites within the network without having to register and login every time. La manifestation MAMER 2019 aura lieu les 12 et 13 octobre 2019 au CIPA Mamer et au Mamer Schlass. 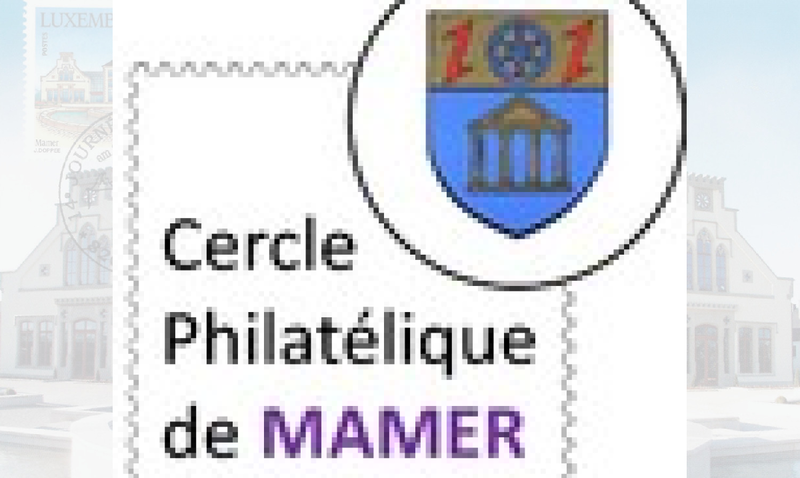 La manifestation MAMER 2019 se compose de la 30e Journée Maximaphile et de l'exposition philatélique "Guerre & Paix". Die Veranstaltung MAMER 2019 findet am 12. und 13. Oktober 2019 im CIPA Mamer und im Mamer Schlass statt. Die Veranstaltung MAMER 2019 besteht aus dem 30. Maximaphilie-Tag und der philatelistischen Ausstellung "Krieg & Frieden". Written by Ralph Letsch, 22/01/2019 15:42.